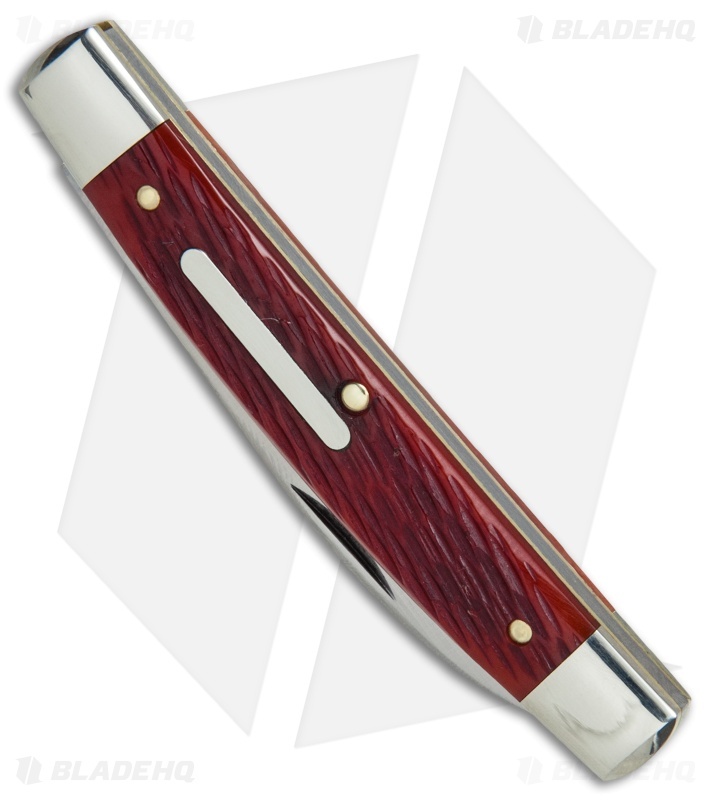 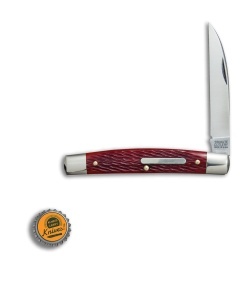 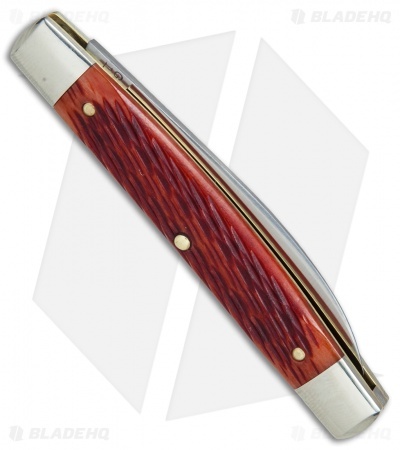 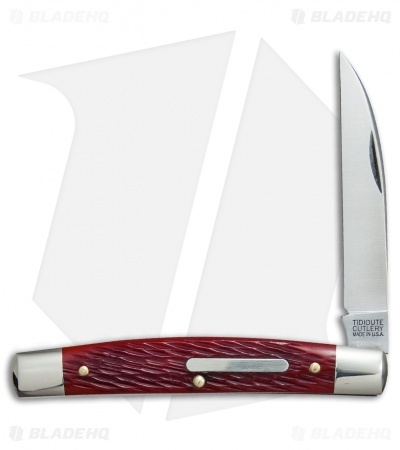 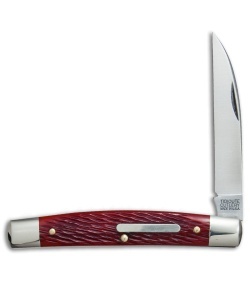 This Whip "Factory Special Assembly" series pocket knife features a traditional single blade pocket knife design and a rust red jigged bone handle. The GEC Tidioute Whip pocket knife includes a large sheepsfoot blade. 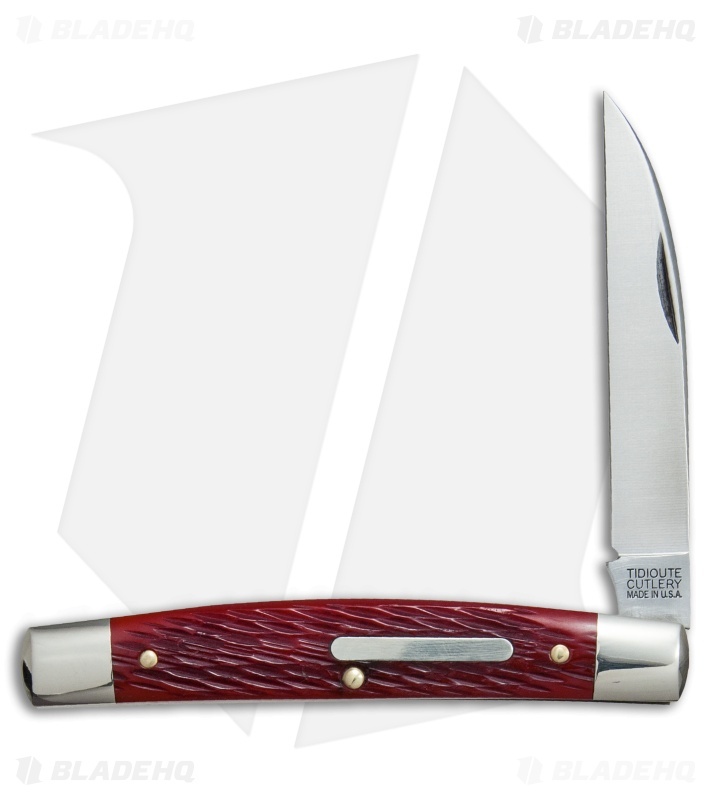 Nickel silver bolsters and brass liners add a classic flair to the design. Brass pins and a nickel silver inlay finish of the impressive Whip design from GEC Tidioute Cutlery.